Funny how no matter how big your stash of completed cards is, you never seem to have the one you want. 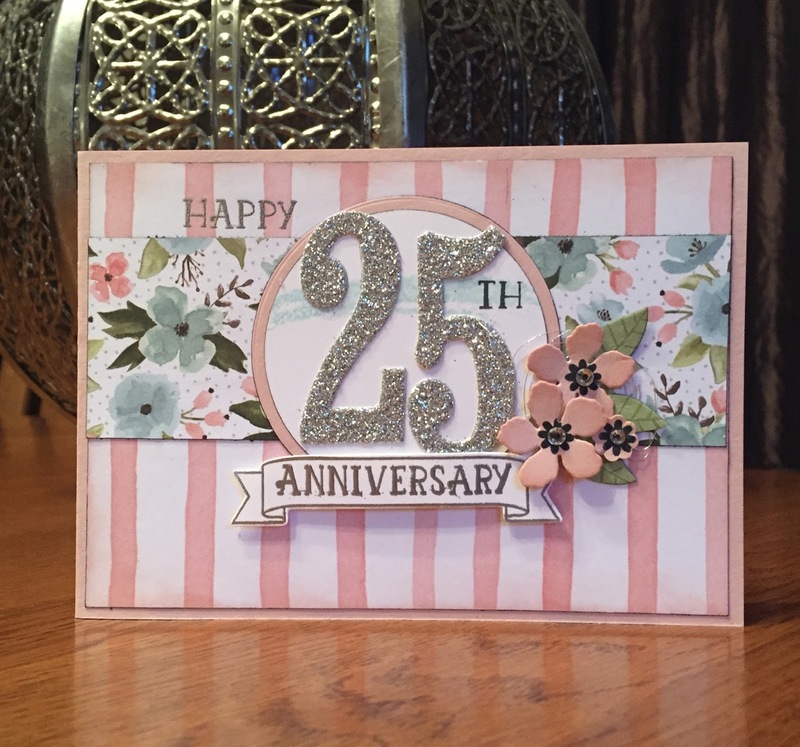 After getting a present for my brother's 25th wedding celebrations this weekend, I realised I had no silver anniversary cards! Rush job in the sense that we're leaving to travel over to his place very early tomorrow so it had to be made tonight. I've taken inspiration from two challenges for my brother's card. Firstly, the tic-tac-toe challenge at Stamp, Ink, Paper. I'm playing the first column: Flowers, Bling, Pink. Secondly, the sketch at The Paper Craft Crew Challenge. 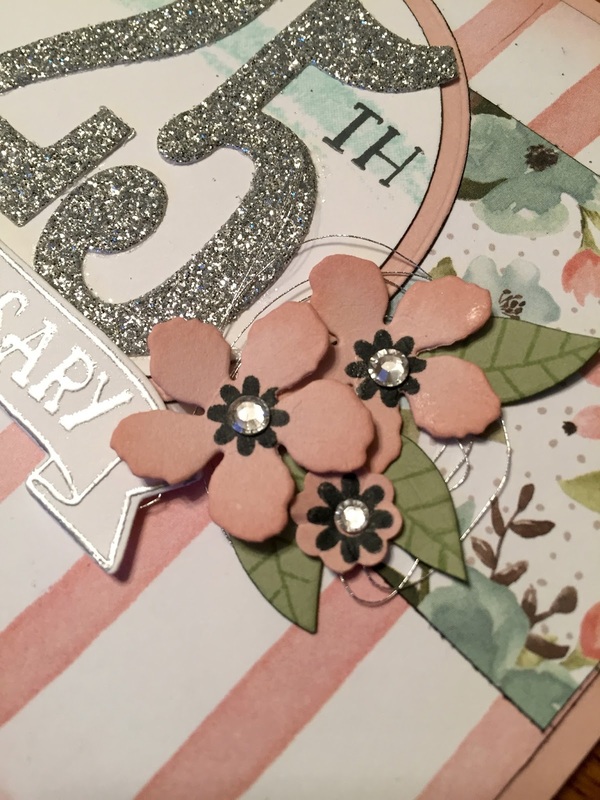 I like the subtle extra bling in the silver thread that's behind the floral cluster. I'm also very happy with the extra zing in the softly sponged flowers. Update: So delighted to be a Top Pick at The Paper Craft Crew. Other: Silver embossing powder, Large Number framelits, Botanical Builders framelits, silver thread, Basic Grey stamp'n'write, dimensionals, Itty Bitty punch, circle framelit, 2 1/2" circle punch, sponges, rhinestones. This is really beautiful! I agree with you that the silver thread is a subtle touch that adds just that extra touch to make this card really special! Thank you for joining the Paper Craft Crew this week! Jan, this is so beautiful! 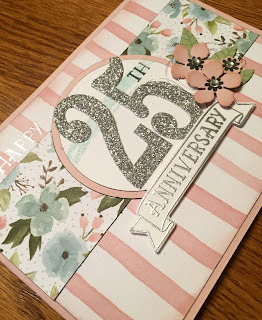 The layout, the silver thread, the glimmer paper numbers and DSP choices all work together to make this a work of art! Thanks so much for joining us at Stamp, Ink, Paper for our Tic-Tac-Toe Challenge this week! What a gorgeous card for an important occasion!! This is so gorgeous! Thanks for playing along with the Stamp, Ink, Paper challenge! Congratulations on being a Paper Craft Crew Top Pick! Glad you played along! !